Let the splendor of the Catskills envelope you as you Say "I Do" under a glorious Sugar Maple Tree, greet guests at your cocktail hour by the Waterside Pavilion and dance for hours in our rustic chic event barn. Your weekend wedding starts on Friday and ends on Sunday with NO CURFEW!! 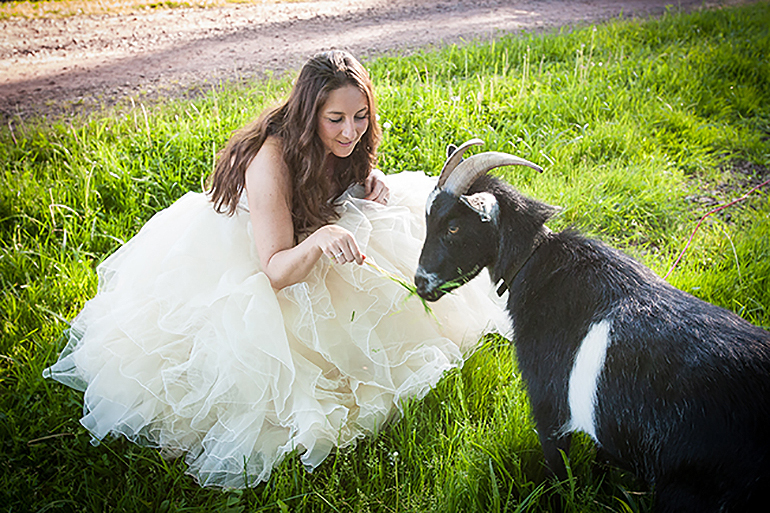 Your Weekend Wedding Celebration Includes exclusive use of our 250-acre farm with picturesque mountain and meadow views. Despite being historic, our Farm is of-the-times, with hundreds of lights and WIFI & mobile phone service across the property (a luxury in the Catskills!) We also offer on-site parking with golf cart transportation around the property for ease of mobility. 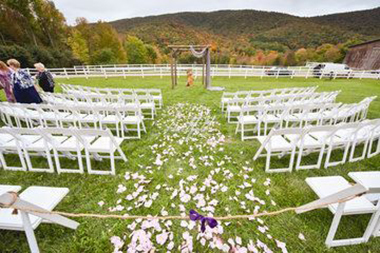 Choose from multiple ceremony sites to exchange your vows including an open field with mountain views and horse-lined fence or a wooded stand of maple trees surrounded by ferns. We provide a portable PA system to go wherever you choose to have your ceremony. Over the course of the weekend, guests can enjoy the activities on our grounds, playing lawn games or serving up on our volleyball field; relaxing in Adirondack chairs surrounding our Pond; canoeing or paddle-boating, picking wildflowers, visiting with our animals…the list is endless. And when the sun goes down, let our bonfire circle and tiki torches light the way to fun and merriment! 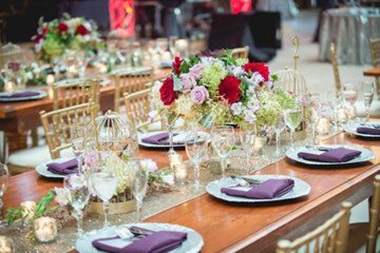 Complimentary access to our preferred vendor list including: florists, caterers, wedding designers, accommodations, transportation, party rentals, photographers, DJs and bands.